It is recommended you ask a tailor or a friend to do this for you. NEVER DO THIS YOURSELF. If a tailor is doing this, please ask him/her to follow this guide to the letter. 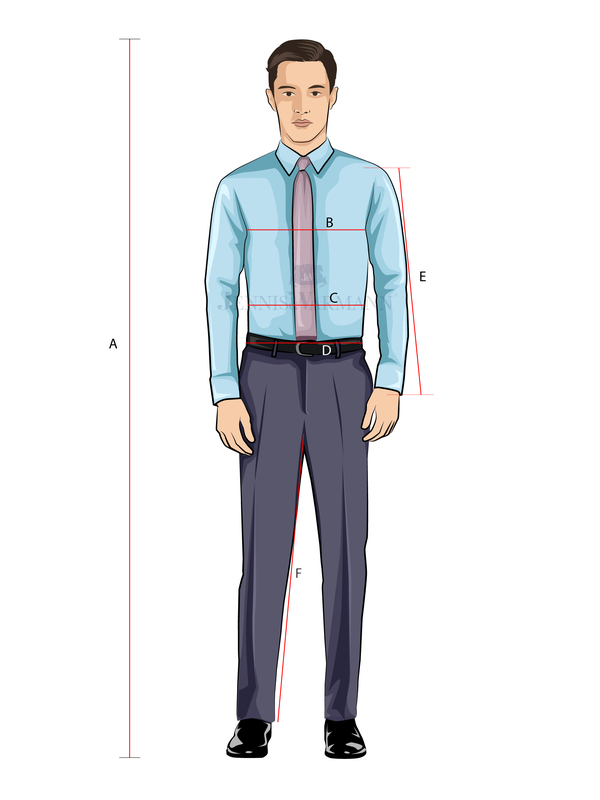 It is recommended you do this with fitted trousers and a fitted shirt. Measure in inches using a standard tape measure and record the exact numbers on the tape. Do not put finger or thumb between the tape and your body. Do not wear a belt when measuring your waist. MEASURE FROM TOP OF YOUR HEAD TO FLOOR. MEASURE THE FULL CIRCUMFERENCE OF YOUR CHEST. MEASURE THE FULL CIRCUMFERENCE AT THE BIGGEST AREA. NORMALLY, OVER THE BELLY BUTTON. MEASURE THE FULL CIRCUMFERENCE AT THE AREA WHERE YOU WEAR YOUR BELT. WITHOUT BELT ON. MEASURE FROM SHOULDER LINE TO THE BOTTOM END OF YOUR WRIST. THIS IS THE INSIDE LENGTH OF THE TROUSERS. PLEASE NOTE: IF YOUR BELLY SIZE IS BIGGER THAN YOUR CHEST SIZE, YOU MUST USE THE BELLY SIZE IN ORDER TO GET THE JACKET TO FIT. Please use this to compare with the table below to determine your correct size. if in doubt, please Email our friendly customer service team with your exact measurements and we will be happy to help you with the sizing. Looking for the right suit and the right fit? 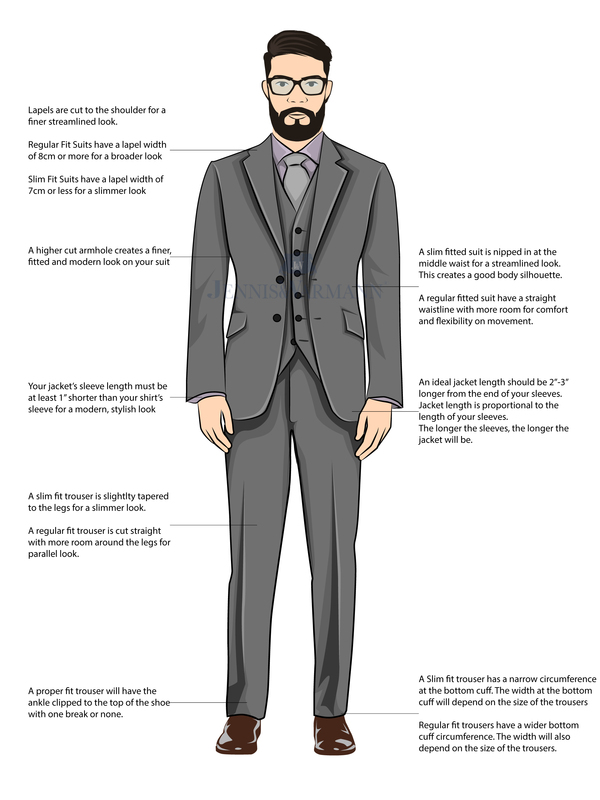 Our guide will help you to get that desirable, quintessential gentleman’s look. Please feel free to let us know if you need help or have any questions. You can Email our friendly customer service team.